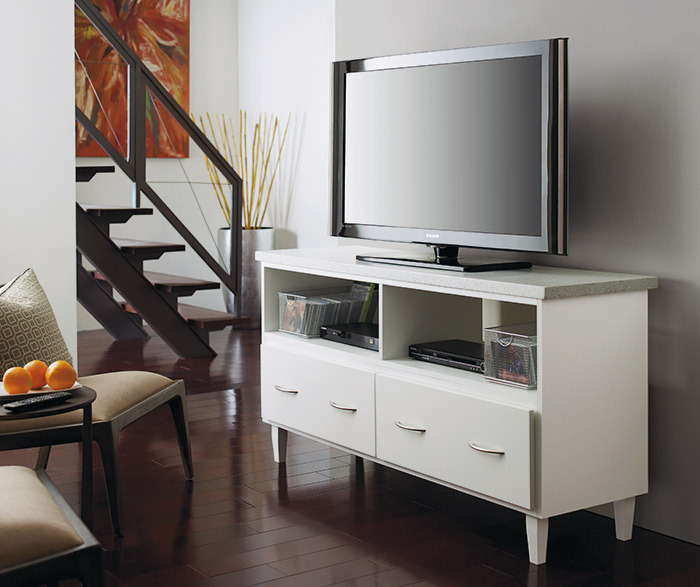 Elegant simplicity. 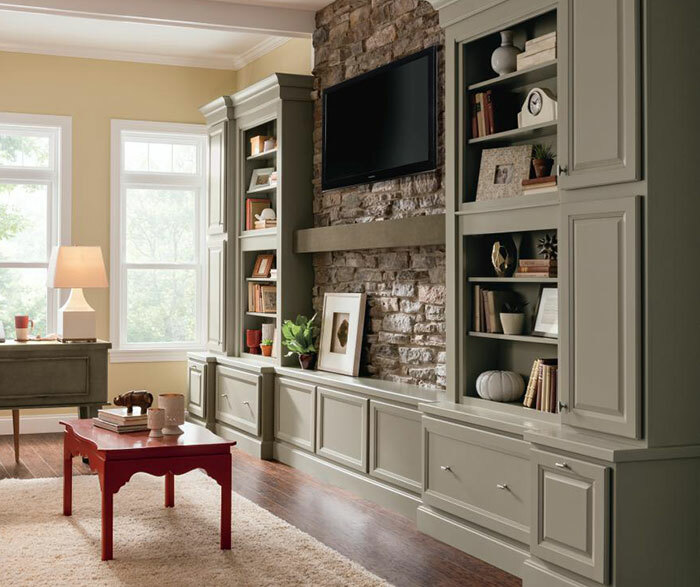 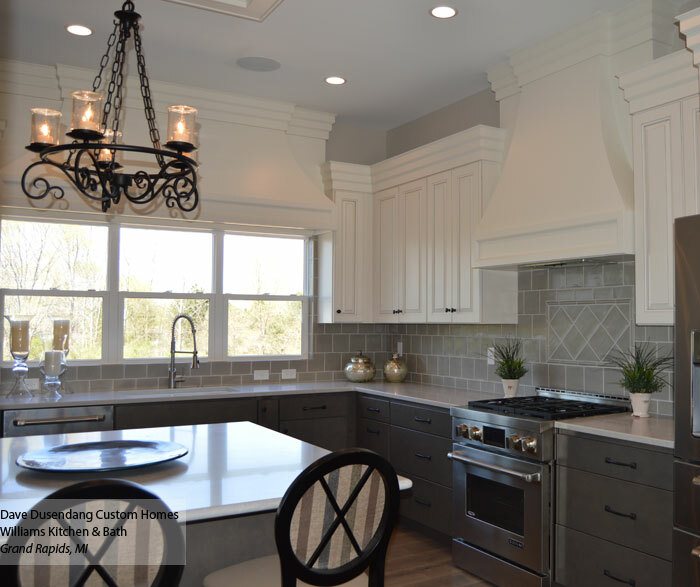 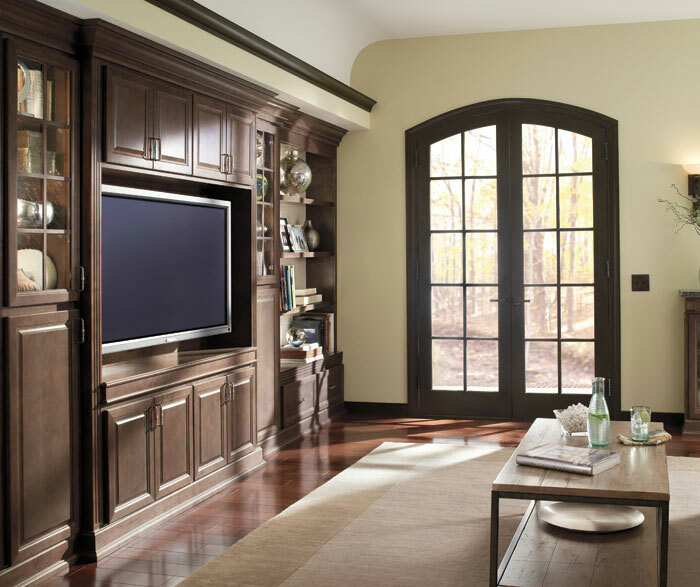 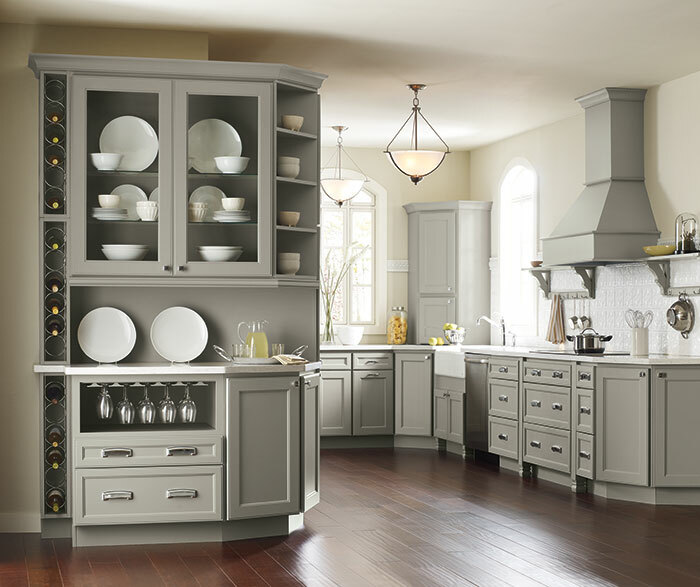 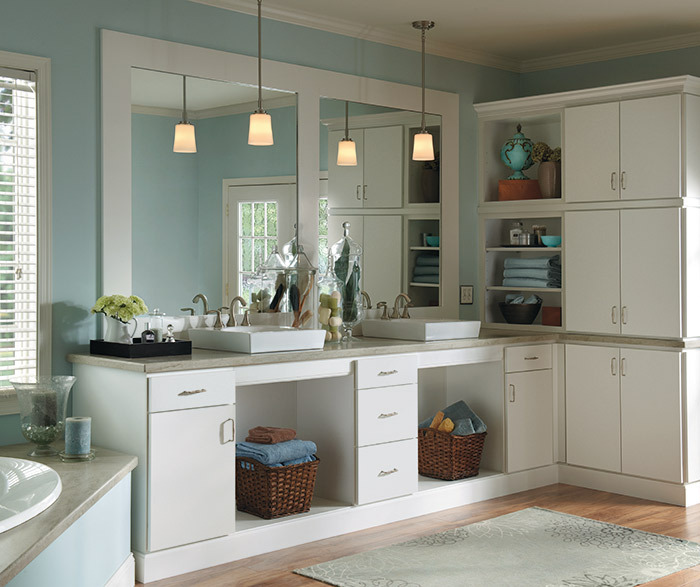 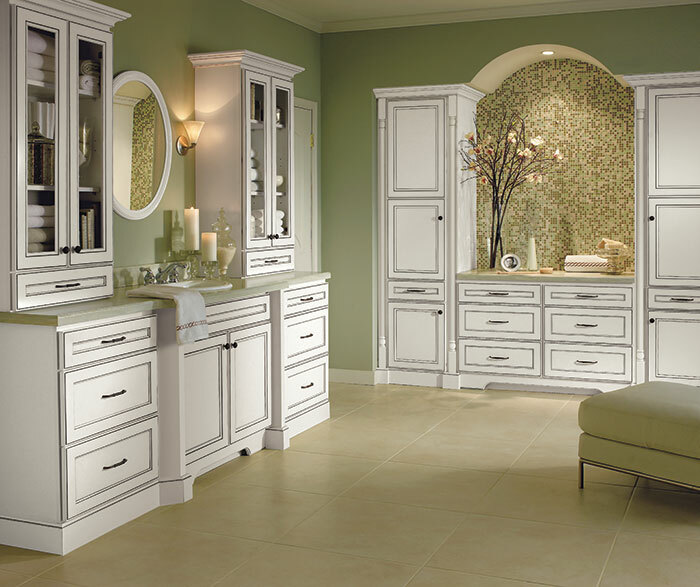 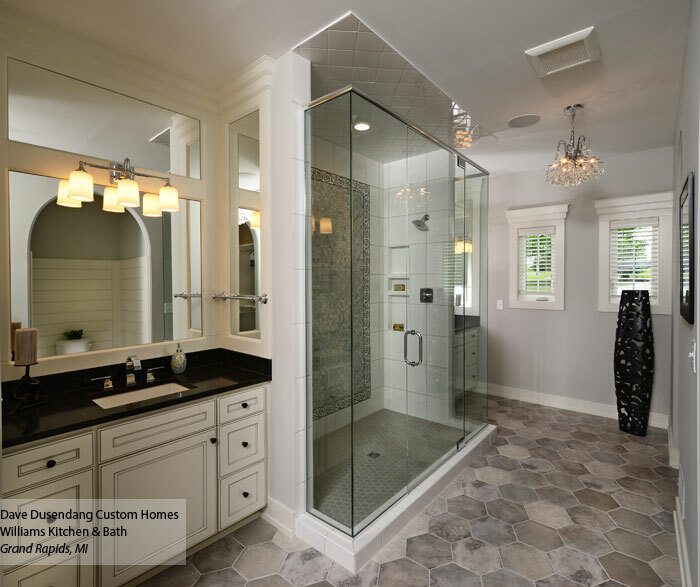 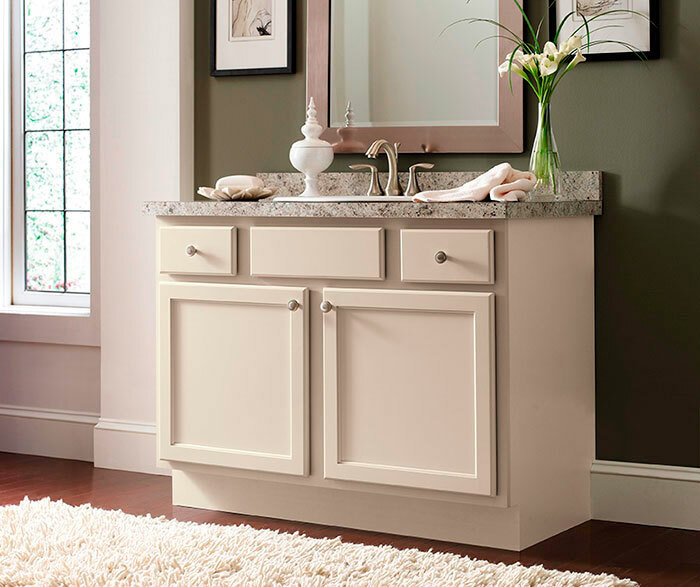 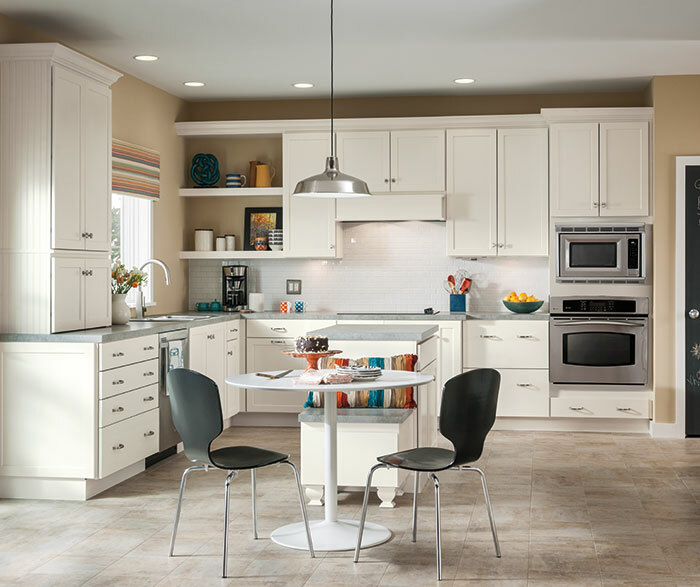 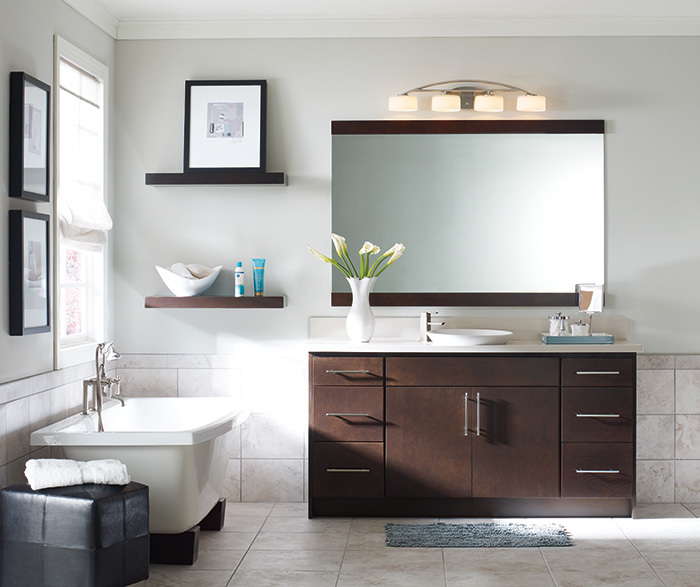 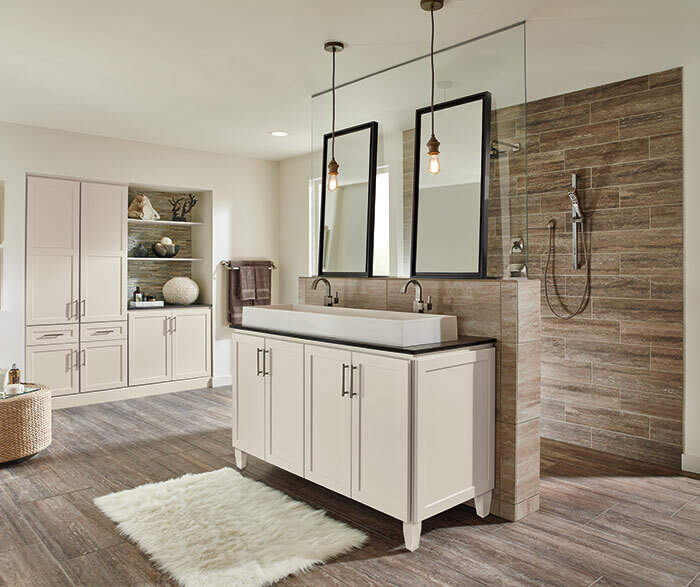 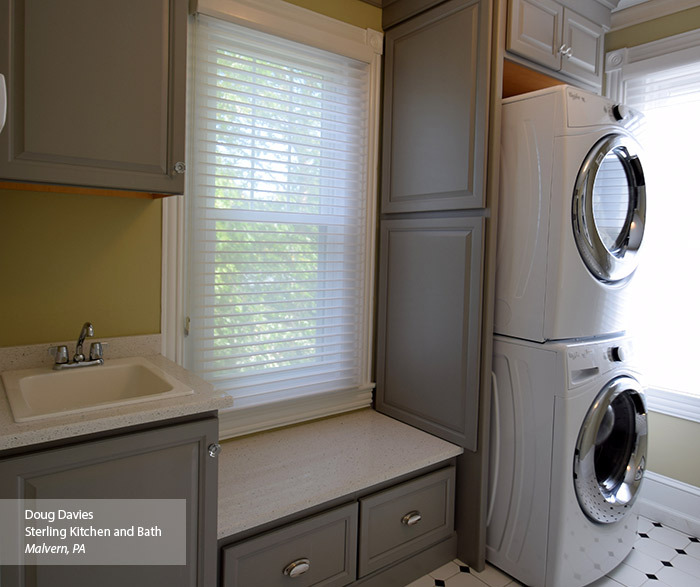 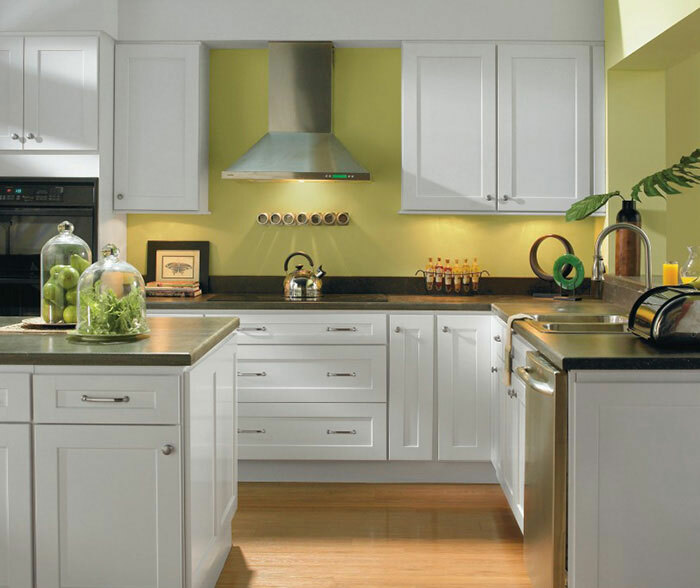 From doors free of embellishment to the beautiful display of sleek, white serving-ware. 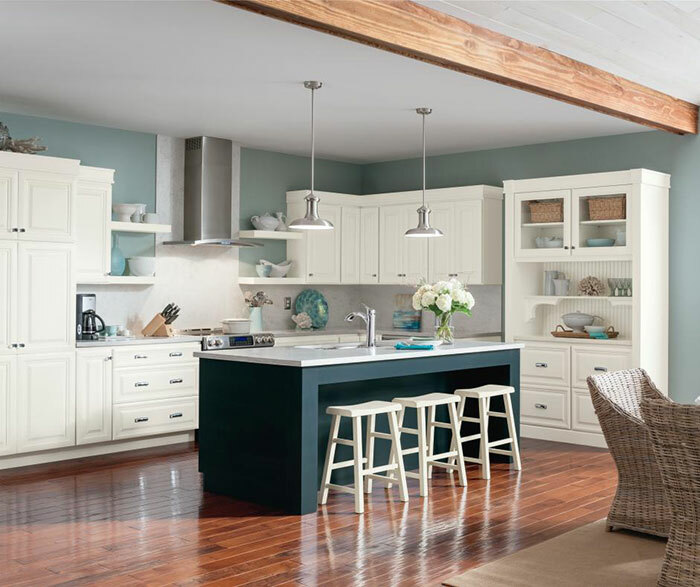 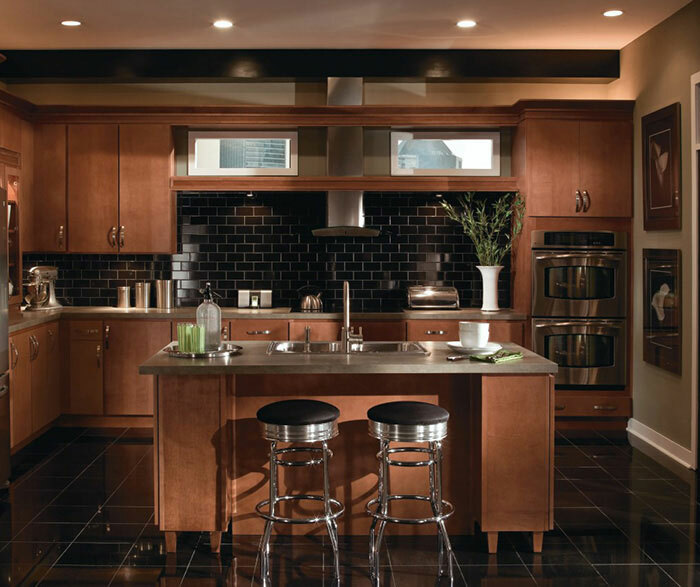 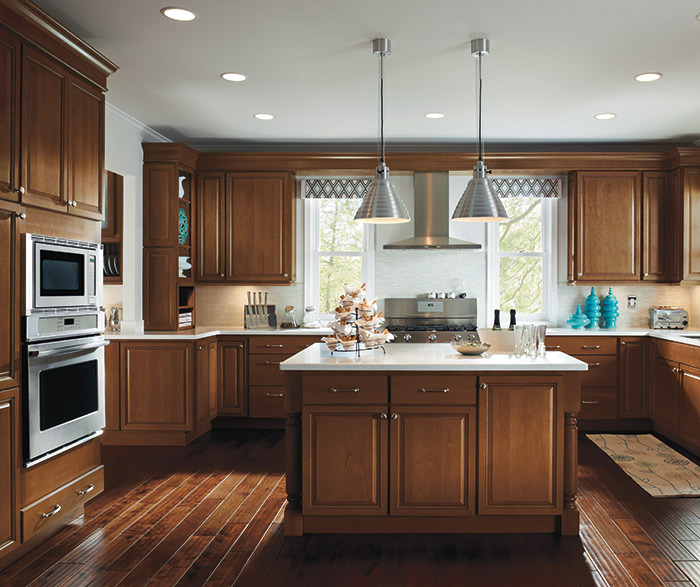 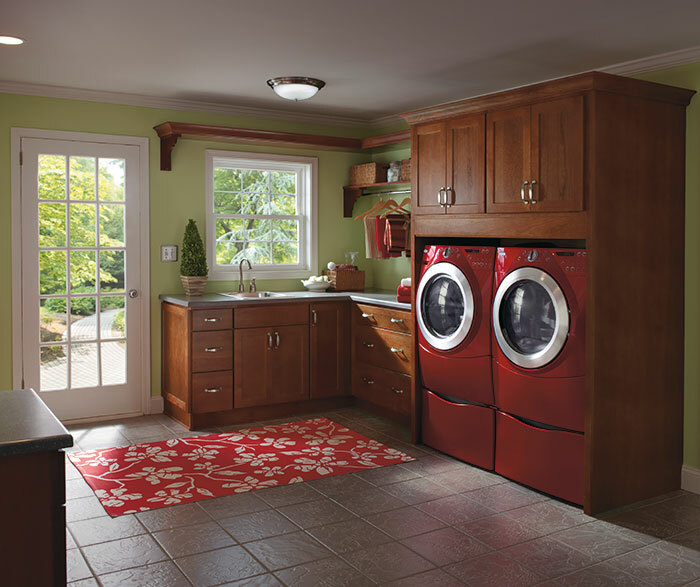 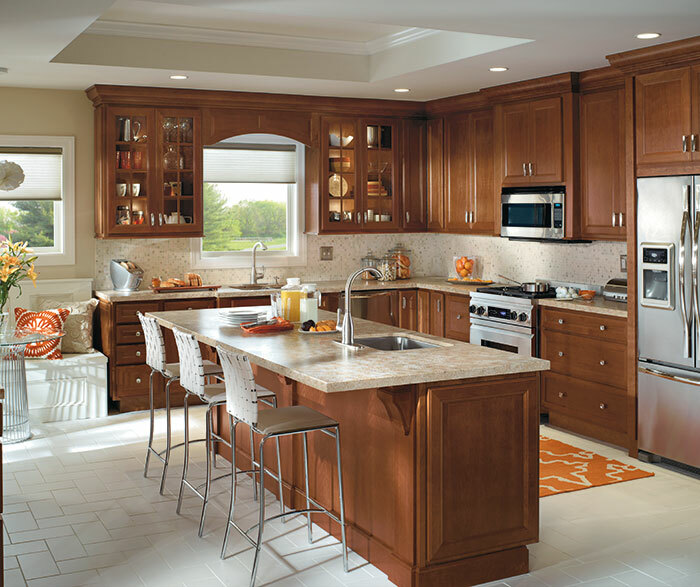 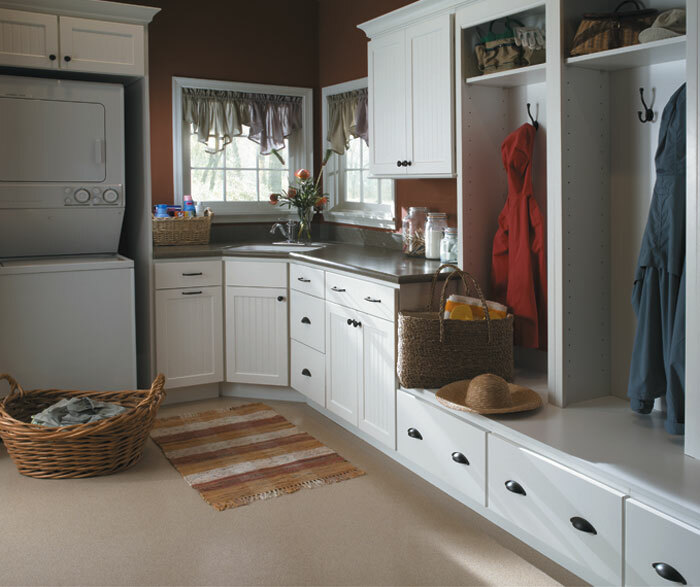 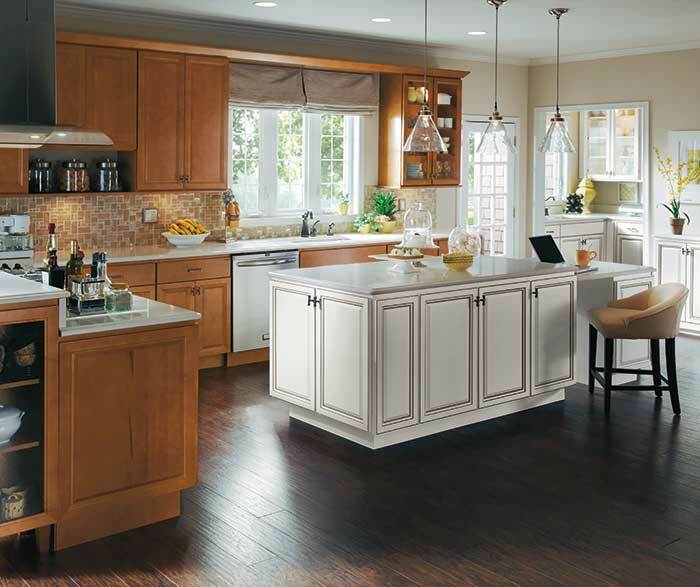 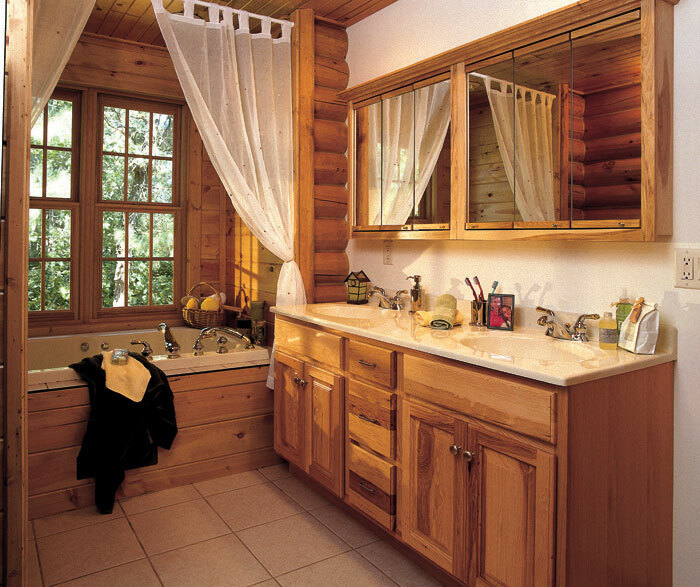 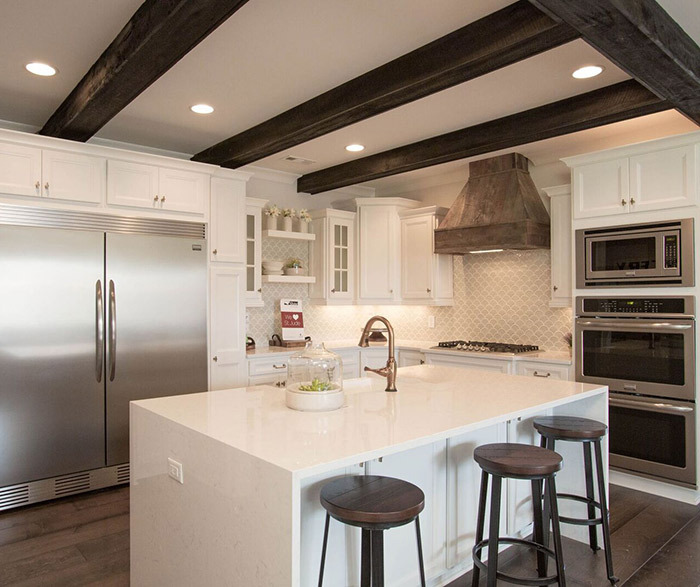 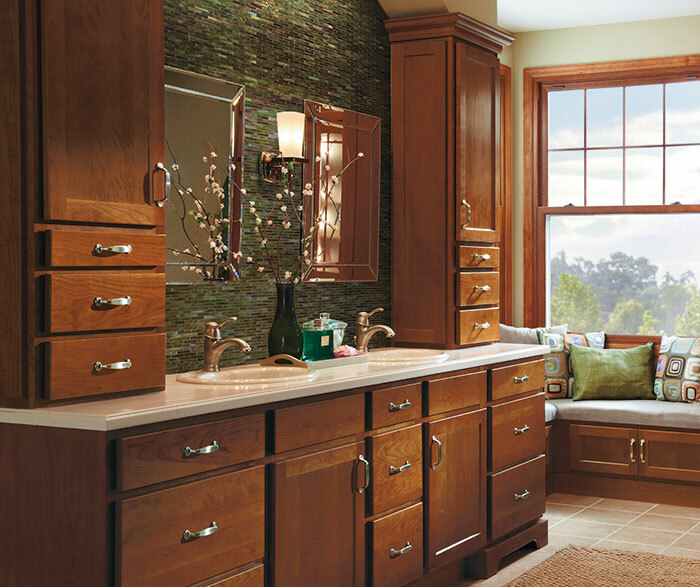 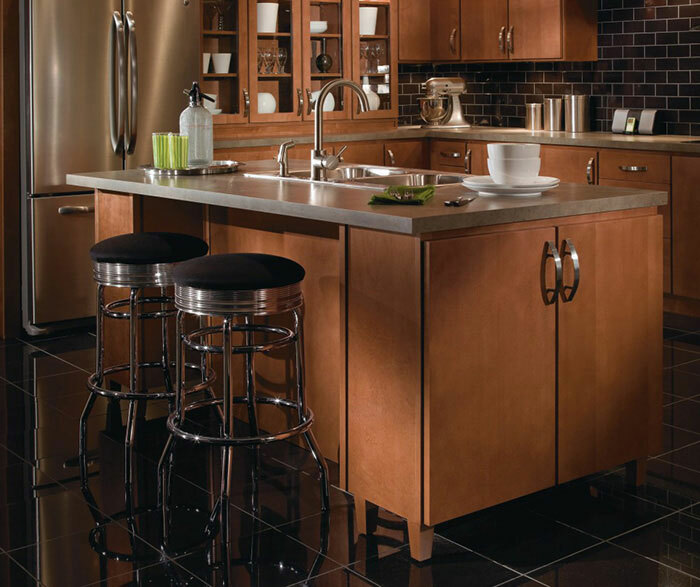 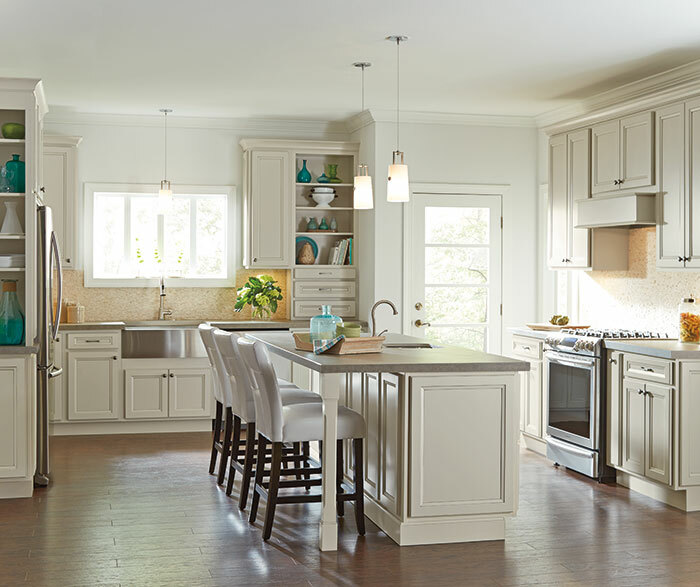 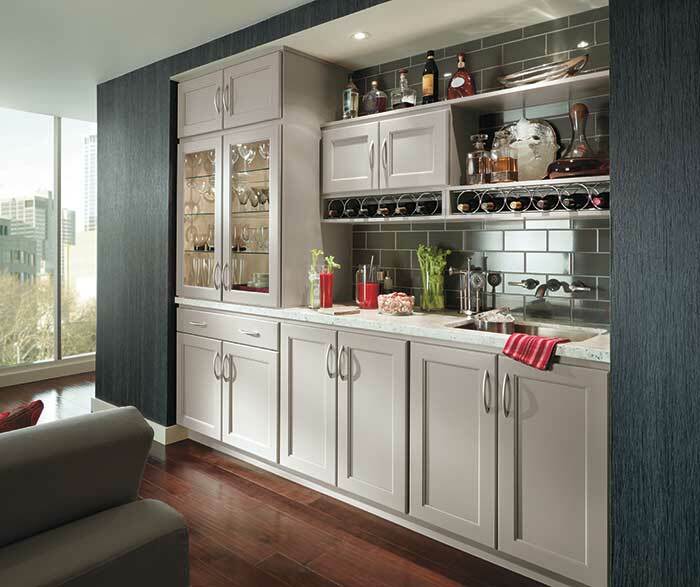 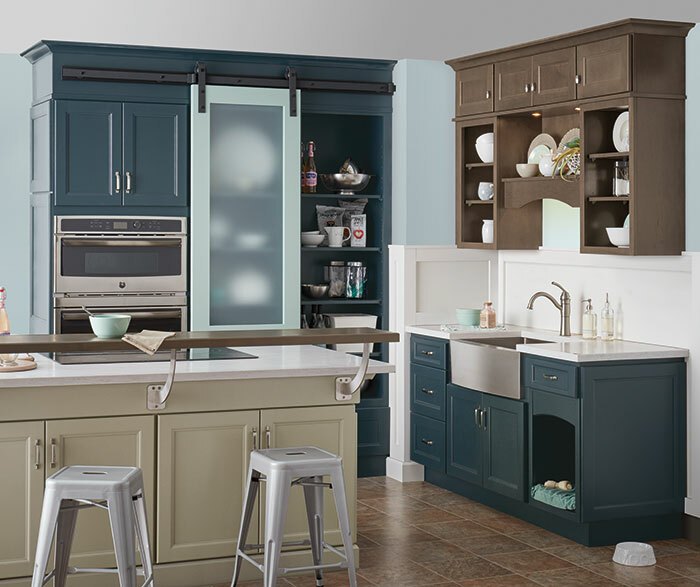 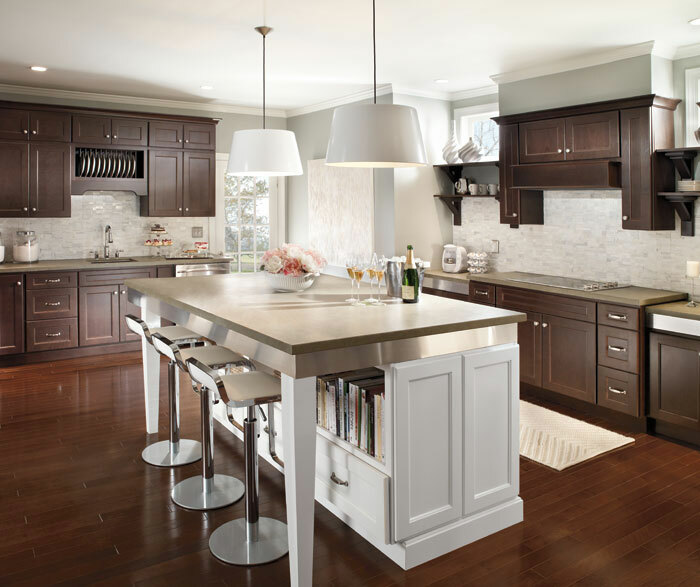 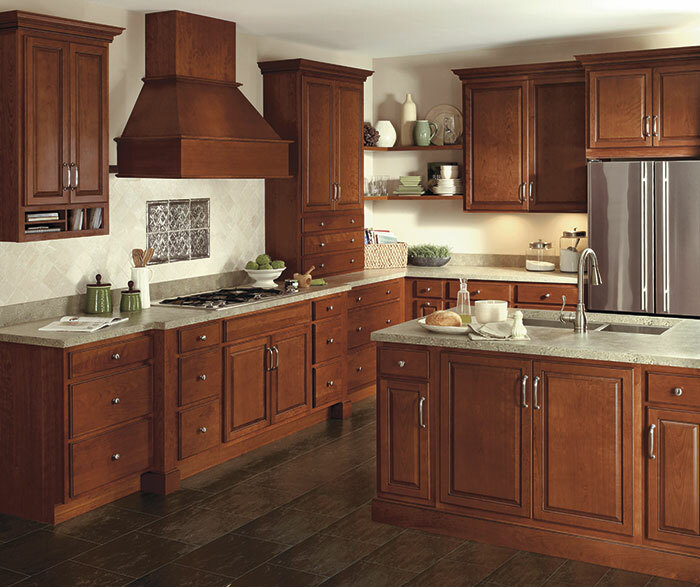 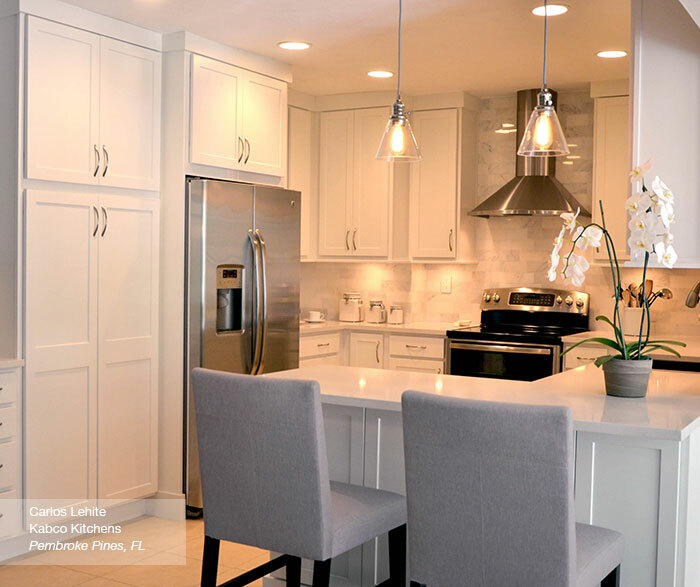 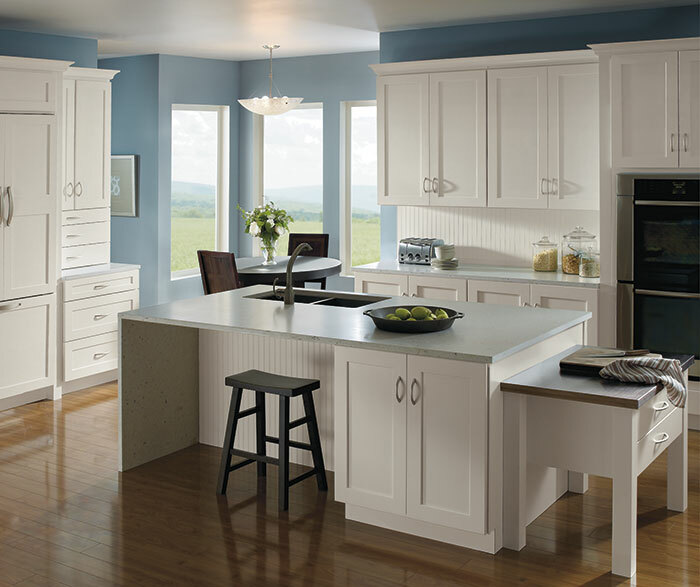 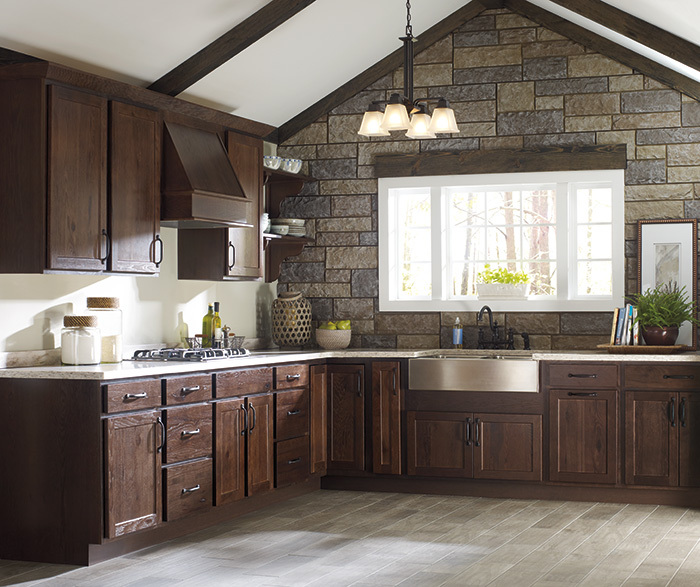 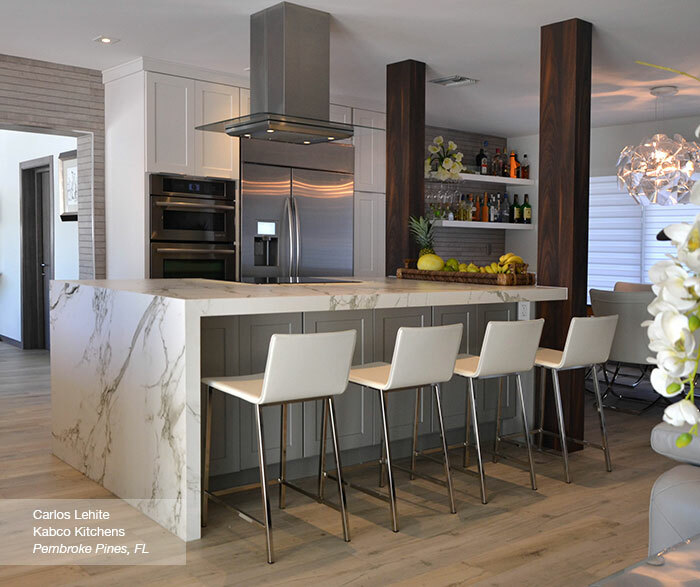 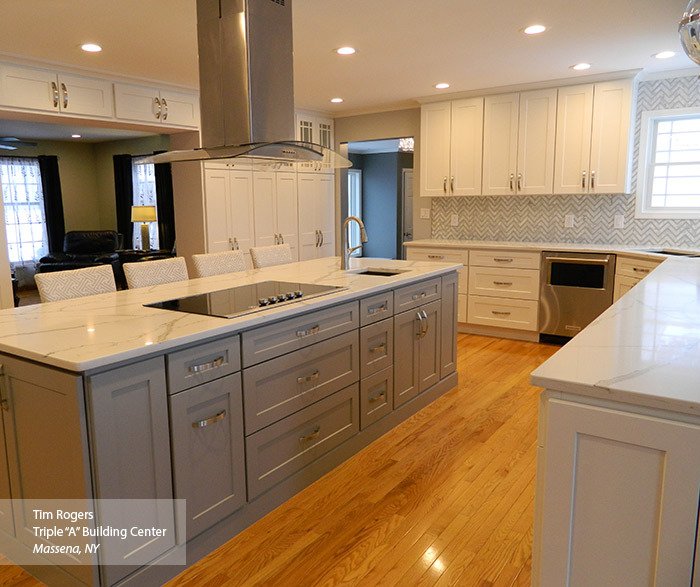 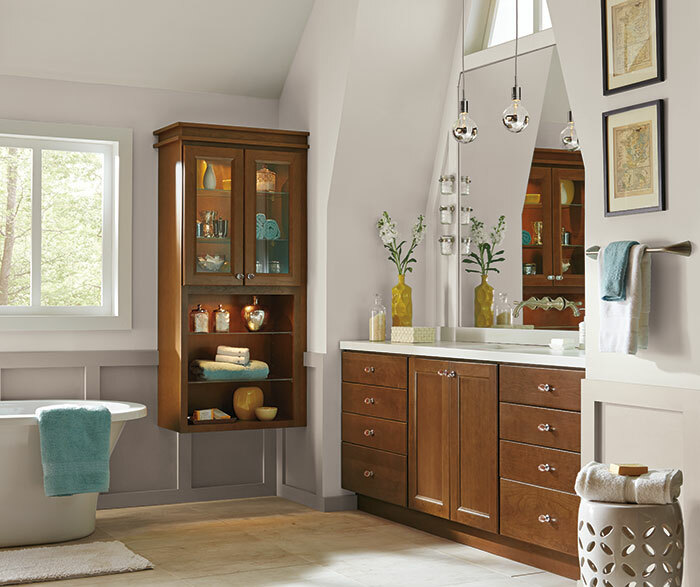 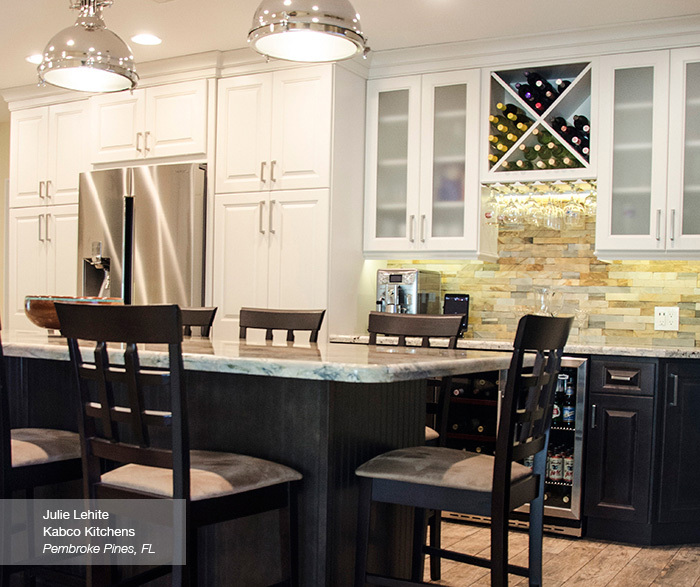 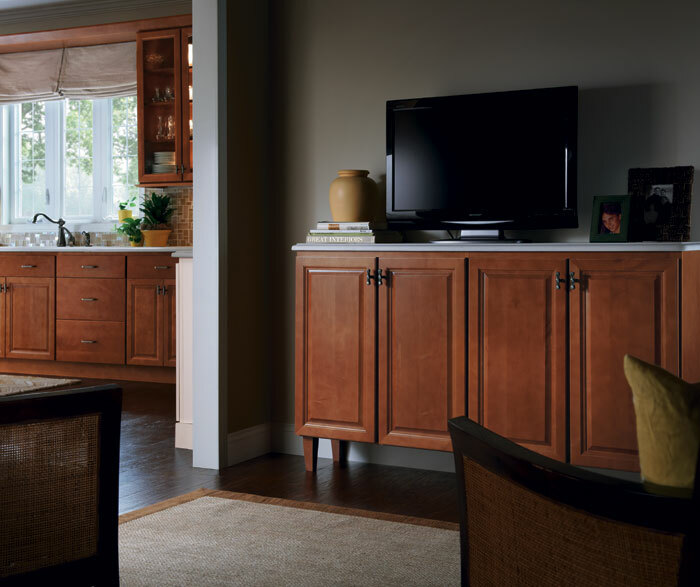 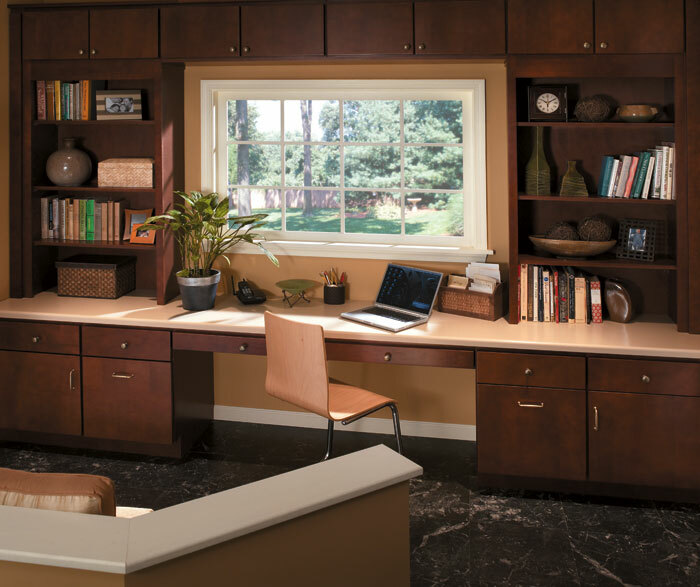 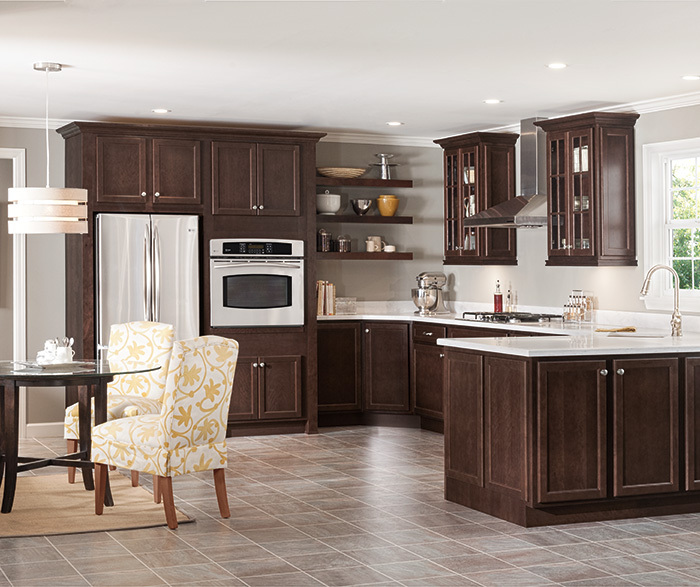 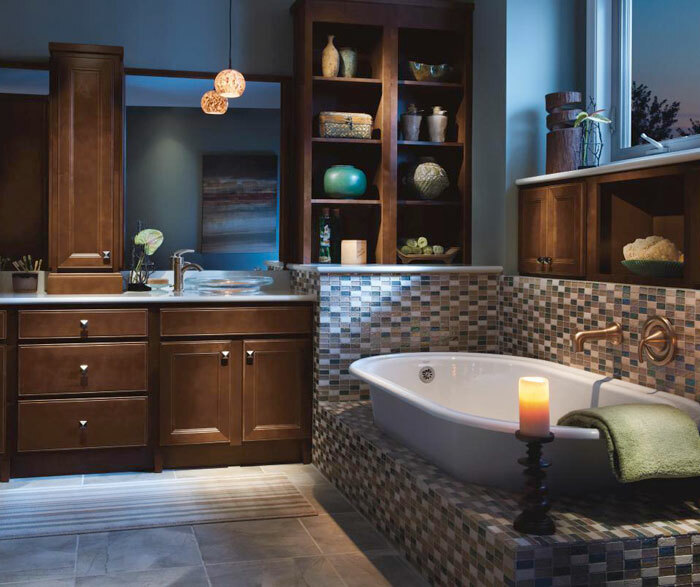 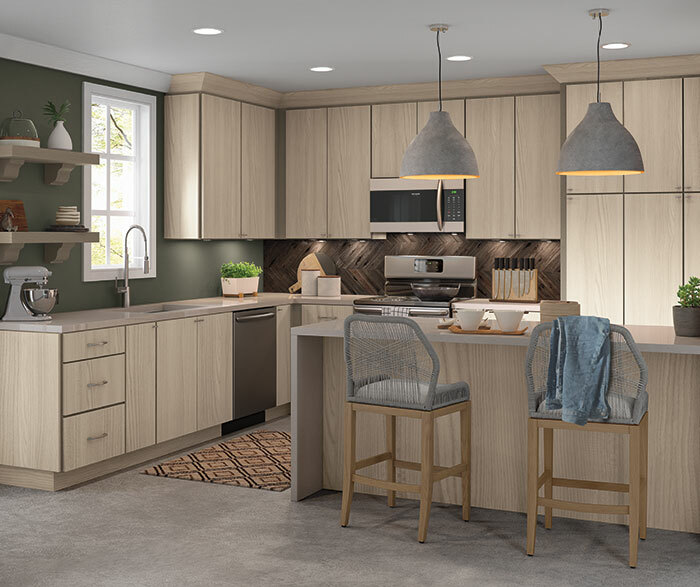 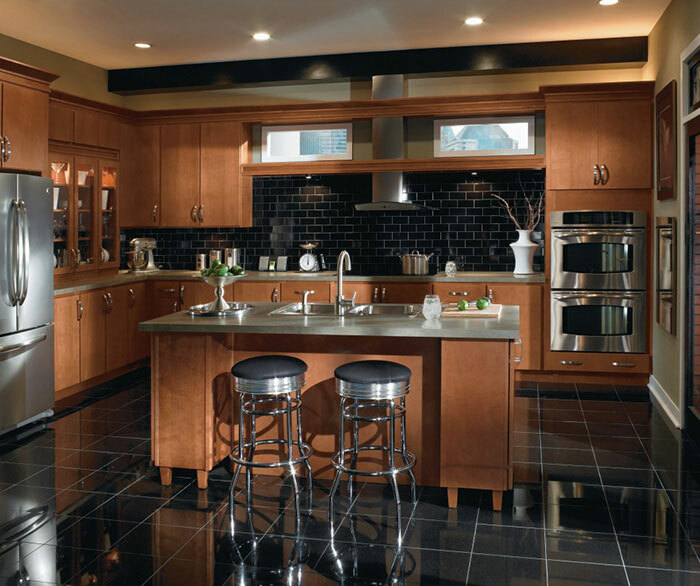 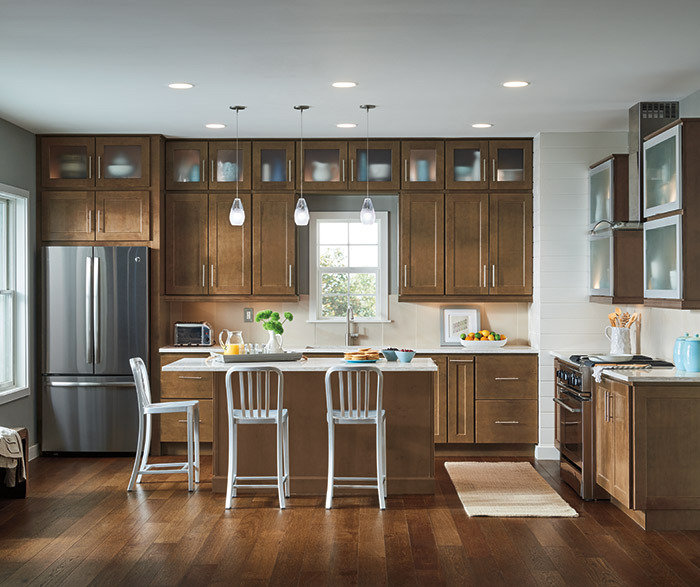 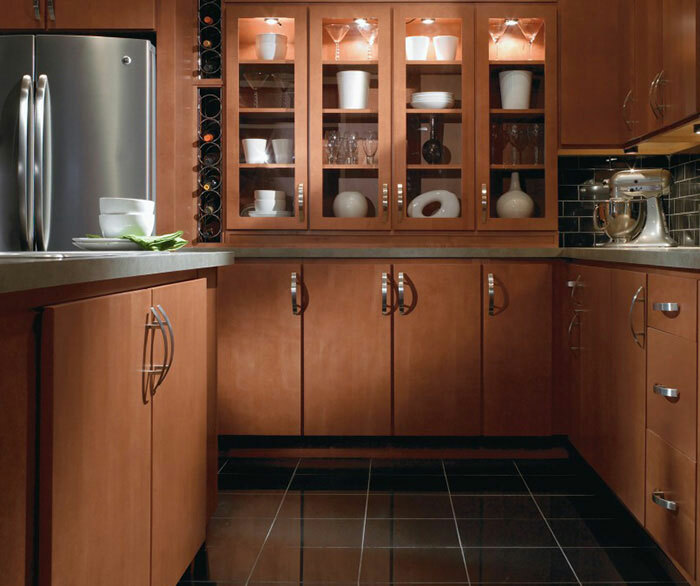 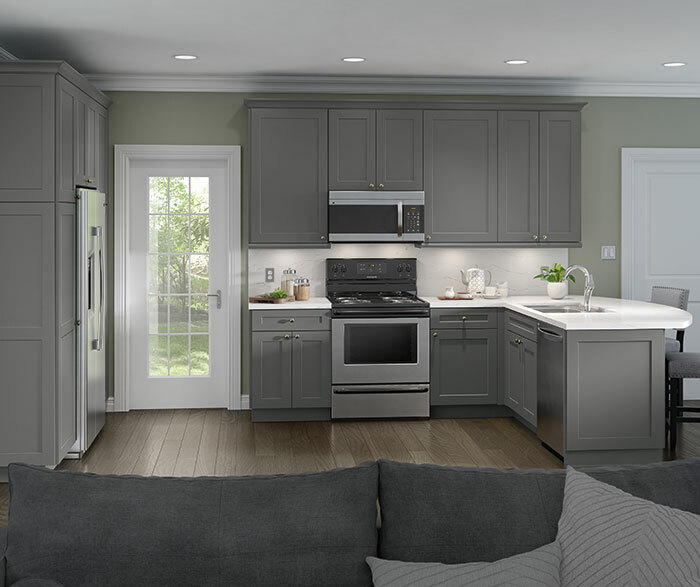 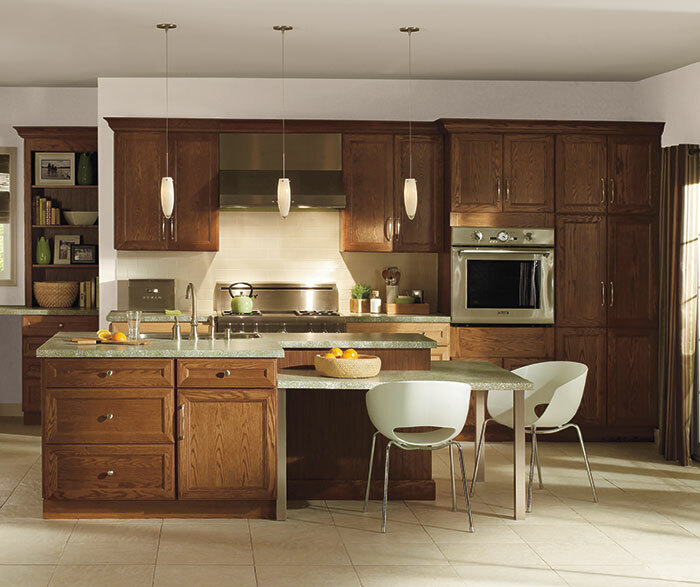 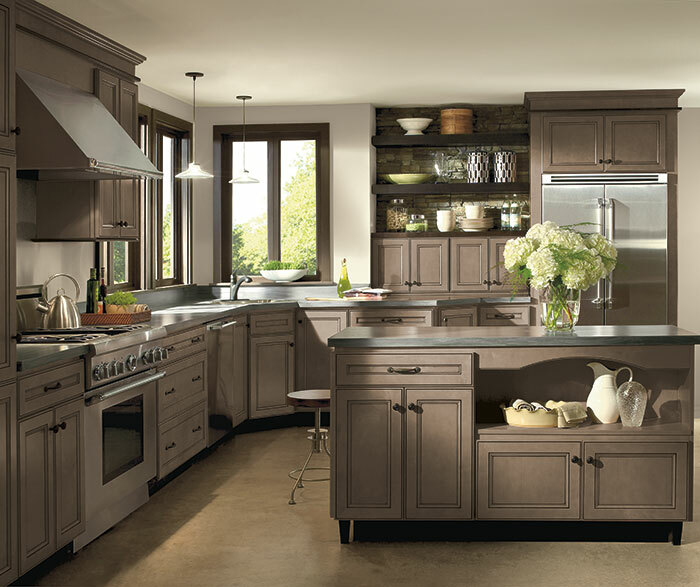 Yet, the rich tones of these contemporary Maple kitchen cabinets keep things down-to-earth and inviting. 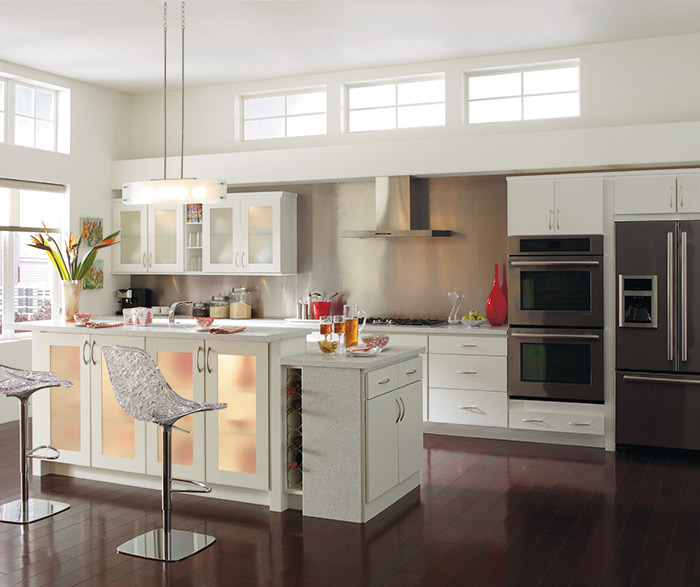 A wonderful setting for creating colorful meals and letting equally colorful chefs can shine.